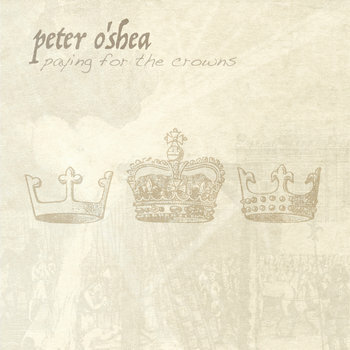 Peter has a long and distinguished career as a musician, performer, composer and educator. His new album, Paying for the Crowns, is a taste of the many hundreds of tunes he has written over the years. Ok, I’ve been around a little while now, so perhaps a bullet-point style artistic resume makes more sense than a lengthy essay! Appeared as an actor in a number of theatre productions such as Dario Fo’s Accidental death of an Anarchist on campus. Also acted and played music in Political Street theatre in Sydney and Melbourne. Played with Jugband/Swing bands The Shoeslapper String band and the Ice VoVo Orchestra. Acted in Stephen Radic’s Kelly film in the main role (can be seen as part of the touring Ned Kelly film collection). Studied Violin privately with Neil Clifton, Thomas Fitzgerald and Fintan Murphy (1978-94). Worked as a freelance Musician and Teacher from 1984. Played and toured with Bushwahzee folk band (1984-88), averaging 240 shows per year. Recorded on “The Waves of Rosebud”, “Put on Your Dancing Shoes” and “Penguin Parade”. 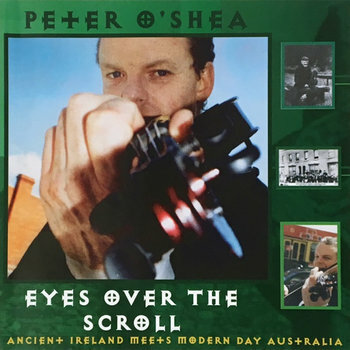 Played with Irish bands The Celts and The Liberties (1988-92), playing at The Port Fairy Folk Festival for 10 years straight, Maldon Folk Festival and National Celtic Festival among others, where I conducted many workshops. Played support to Christy Moore and Nelson Mandela at the Hamer Hall and Sports & Entertainment Centre, appeared on SBS Television. Recorded two albums with The Celts – “Shamrock Shore” and “Bonny Ship the Diamond“. Averaged 260 gigs a year with these Irish bands. Tutor of Strings and Didjeridu at The Council of Adult Education (1992-94). Played and toured with The Guinness International Showband, supporting Irish legends DeDannan in Hobart. Formed The Preachers with Scottish song writer Steve Boyd, an original and Celtic rootsy band later becoming Steve Boyd and the Preachers. Recorded two albums, “Folly and Moonshine” and “Ribcage Xylophone“. Played at festivals, appeared on TV, radio. Opened and operated own Teaching studio in Brunswick (1995-2004). Created The Australian Fiddle Music School with accompanying repertoire and pedagogy. Released 2 tutor books and cd’s, Tunes of the Australian Fiddle Music School Vol’s 1 and 2. Formed The AFMS ensemble which catered for a diverse and interesting group of amateur musicians in Sydney Rd. Recorded cd with ensemble and Elliott Folvig titled “First Take“. Took ensemble to many a festival and provided performance and musical experiences for many. Worked as a freelance musician. Returned to study for post graduate study (1999-2001), studying Violin pedagogy. Graduated with a Graduate Diploma of Arts in Music (2002). Nominated and won two national music and teaching “Golden Fiddle” awards in 2004 and 2005. Joined Stomp Dog in 2011. Recorded album “Songs of the dead“. Played many Victorian shows. Casual member of The Prairie Kings (Hillbilly swing) and The Whiskee Gypsies. Played shows with folk-rock band Zeptepi and guested on their albums “Winter in the Blood” (2012) and Coming Up For Air (2013). Co produced, arranged, played ‘cello, violin, mandolin and didjeridu on recordings by Scottish singer/songwriter Neil Mitchell. Many gigs as a solo performer in 2013. 2014 – Developed and refined a creative not repetitive method for string Players, and have successful teaching practices all over Melbourne/ Victoria. Toured South Australia with “The Orange Tree production”, written and performed by Darryl Emmerson (based on the poetry of John Shaw Neilson). Live to air performance on ABC radio. My aim now is to make an album every year, continuing to explore my Irish roots, mixing sounds of the old world with the new. Doors at 2pm, show starts at 2.45pm. Pete launching his new album with special guests including The Gathering Tide. Peter launching his new album, Ribbons Round The Pegs. Doors at 2pm. Special guests include The Gathering Tide. Entry $12 guests, $8 members/spot acts. Tickets $15 at the venue.